Kate Heyhoe is Chief Cat Wrangler at Stark Raving Cat. Kate's not-so-secret passion is cats. She designs handmade cat toys, including catnip joints, Acme cat bombs, pet-themed greeting cards, and colorful batnips, as well as jewelry and gifts, all available on her websites at Stark Raving Cat, Etsy and Amazon Handmade. Kate is also author of eight books, and started FoodWine.com in 1994. Originally published as a hardcover by Clarkson Potter, there's now a version for iPad and iPhone available at Apple's iBookstore. The version for Kindle and Kindle Fire is available at Amazon. Both include previews. 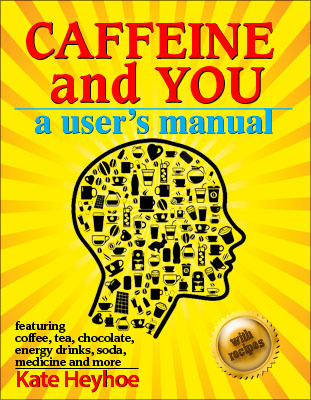 Caffeine Basics is an online book Kate wrote to cover the fundamentals of caffeine. Caffeine came without instructions. THIS is the missing manual. In addition to writing, editing and designing cat products, Kate is also an artist, producing Sugar Skulls containing elaborate dioramas, as well as Floating Collages, mixed-media works that include paper, wood and other materials. Please visit Inside My Skull to view them. Kate was the original founder and editor of FoodWine.com which launched as the electronic Gourmet Guide (eGG) in 1994. The eGG partnered with America Online in 1995, added the Global Gourmet in 1996 and merged foodwine.com into The Global Gourmet in 1998. The archives for Global Gourmet became FoodWine.com again in 2016. She has appeared in two national television satellite tours, as well as on CBS' The Early Show (Chef on a Shoestring segment), and other stations around the country. Hundreds of articles about Kate and/or FoodWine.com and The Global Gourmet have appeared in media as diverse as the New York Times, Wall Street Journal, USA Today, Time, Los Angeles Times, Parade, FoodArts; WOR, Bloomberg, and Sony World Wide radio networks. 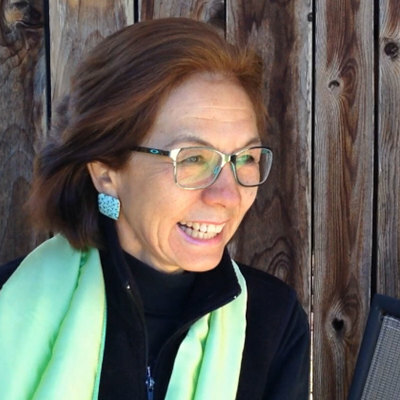 She has written for Better Homes & Gardens, Saveur, Cooking Pleasures, Chile Pepper, Great Chefs, and other magazines. She lives in the Hill Country near Austin, Texas. Copyright © 2018, Forkmedia LLC. All rights reserved.